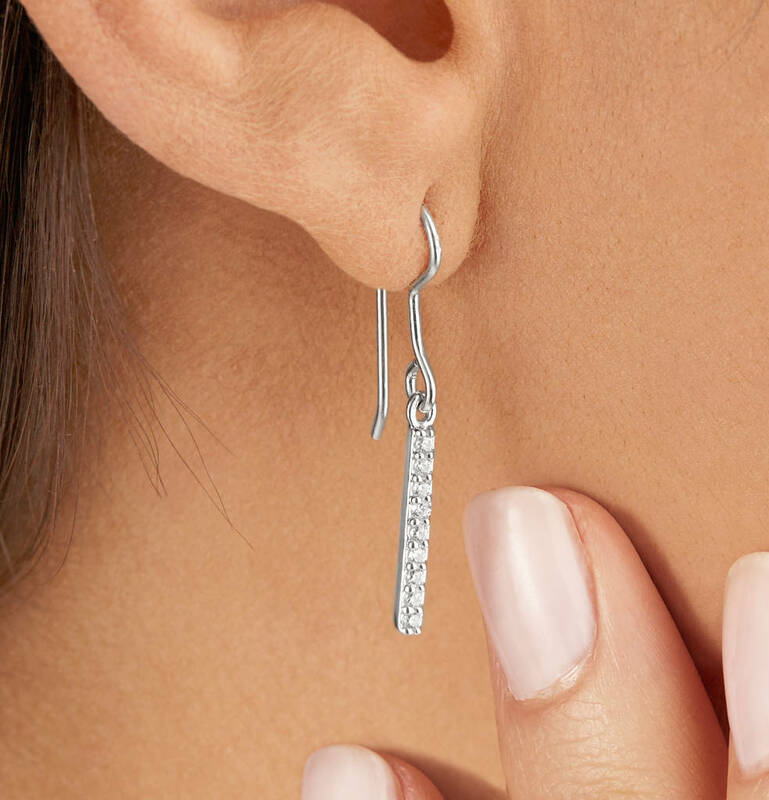 Silver or gold diamond style bar earrings. A beautiful jewellery gift for someone special. Beautifully detailed, these silver or gold diamond style bar earrings. Available in sterling silver or 14ct gold plate and semi-precious crystals. 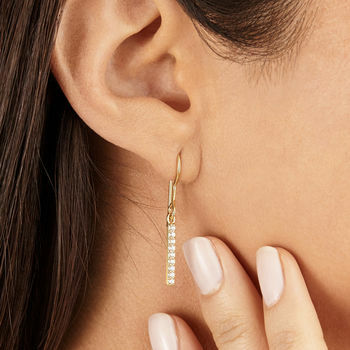 These earrings have a delicate hook that allows them to be put on with ease. All of our products are ethically sourced and produced. 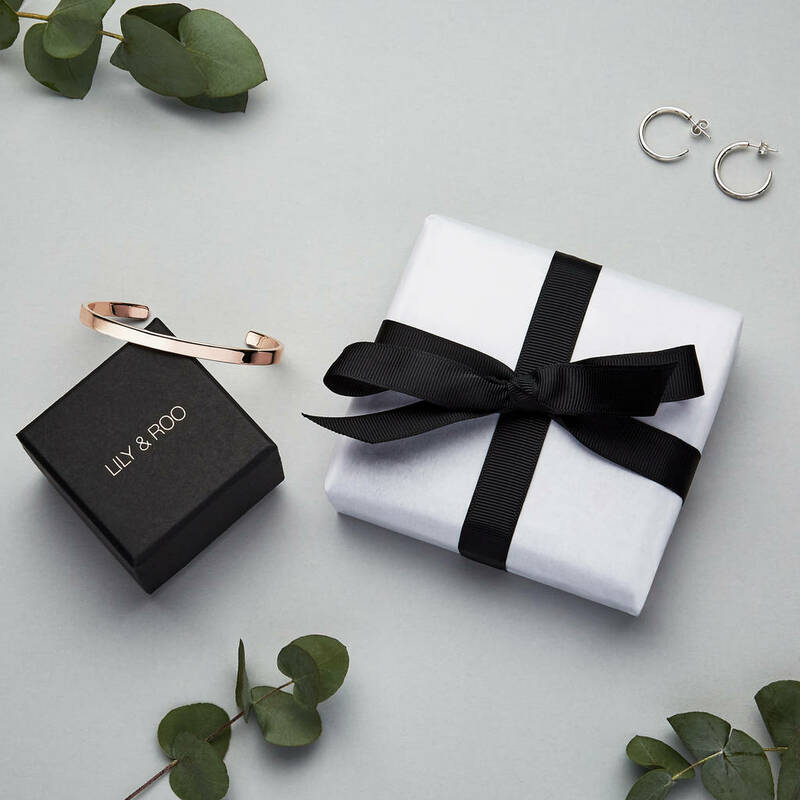 Your stunning earrings will be sent to you in a complimentary Lily & Roo gift box. A special gift for a wife, girlfriend, mother, or daughter. Gift wrap available on request. 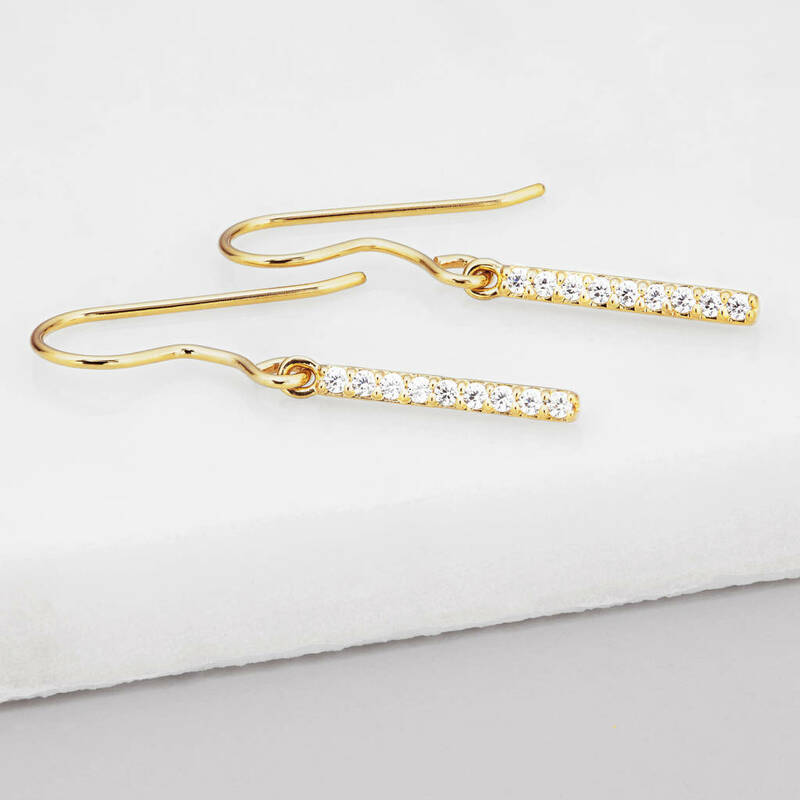 Beautifully detailed, silver or gold diamond style bar earrings feature a delicate row of semi-precious crystal pave bar finished in either sterling silver or 14ct gold plate. Sterling silver, 14ct gold plate, semi-precious crystals.